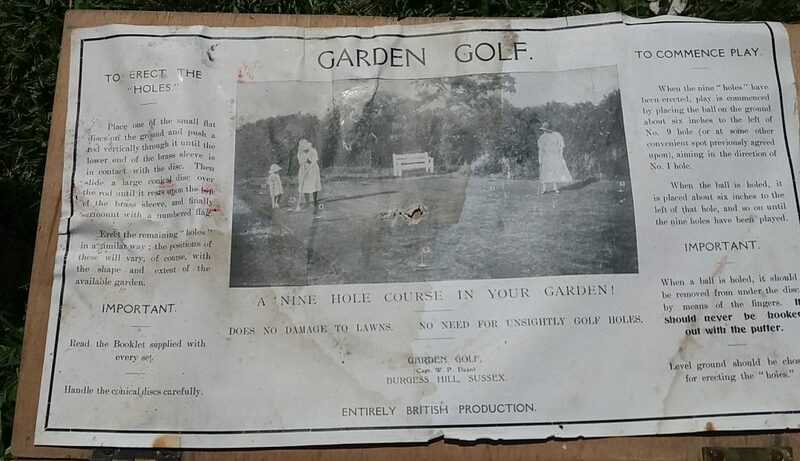 This is a vintage garden golf game with nine holes. This is a 1940s game in original box with instructions. The ideal game for your vintage party. 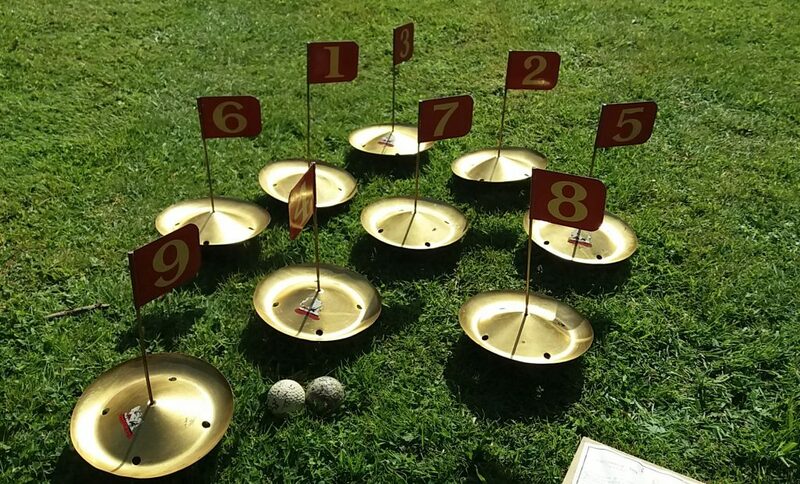 The aim of the game is for the balls to be caught under the metal “hole” (no damage is caused to your lawn). This is a rare game and has an additional £20 deposit.